“It resembles John’s spirit and the light helps guide his way to the other side,” said William. He and Raw Eater were among a group charged with keeping the flame lit since Saturday, when Jules, 56, died at Royal Inland Hospital after battlinginoperable cancer. “He commanded a lot of respect. Look at all these people,” he said, and gestured at the crowd outside the centre. William said Jules was known for the sweat lodges he hosted at his home. Many were for First Nations youth Jules tried to rescue from drugs and alcohol. “He helped them get sober, find sobriety,” he said. Chief Shane Gottrfriedson said the wake, which lasted for several days, was a testament to Jules’s stature as a proud community leader. “He led by example. He was a true leader. He didn’t just talk about things. He had a vision and a strategy,” he said. 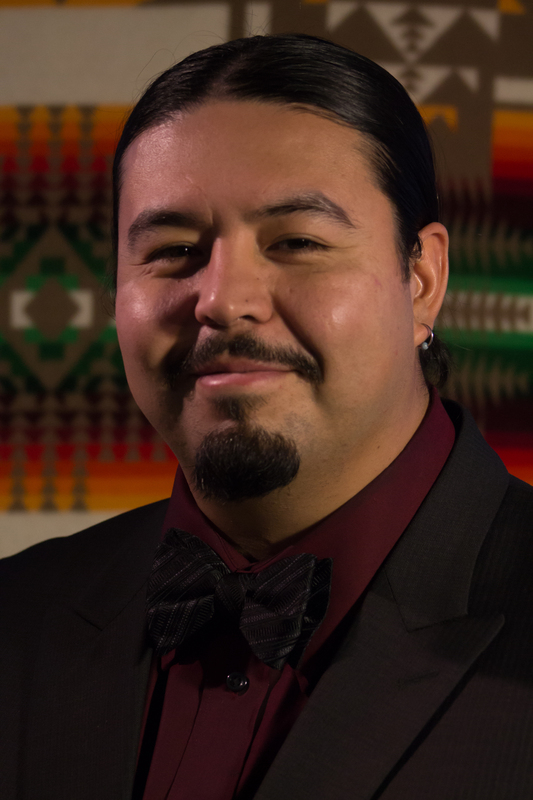 Jules served as the Tk’emlups Indian Band’s cultural resource manager for a number of years and more recently as director of operations for the Stk’emlupsemc Te Secwepemc Nation, the organization behind the economic development agreement with New Gold. He also oversaw repatriation ceremonies for more than 400 ancestors. As a dancer, he was well known on the powwow circuit, serving as a keeper of the flame, a pipe carrier in the ceremonial sense, a founder of the Kamloopa Pow Wow and a central figure in three drum groups. Jules’s body was taken to St. Joseph’s by a procession of more than 200 people, some on horseback. RCMP escorted the group along the Yellowhead Highway. Hundreds of people passed through the gymnasium at the Chief Louis Centre Thursday to bid a final goodbye to John Jules in a ceremony bringing to an end days of mourning. But an act of remembrance of equal importance was carried out in a field not far from the drumming and prayers, as nephews Earl William, 33, and Yogi Raw Eater, 28, tended a fire containing their uncle’s spirit. The fire continued to burn until he was buried alongside his ancestors at St. Joseph’s Church on Chilcotin Street late Thursday. At that point, all the remaining logs were thrown on in a final celebration. “It will be a bonfire then,” William said earlier in the day. Every day, before every meal, a plate of food was fed to the fire. William said that represented Jules having his dinner. It was done before anyone else could eat. The fire also acted as a meeting place. William said people sat, shared a smoke and told stories about Jules, considered a cultural luminary of the Shuswap Nation. William and Raw Eater contributed to the stories, saying Jules’s boisterous laugh was often heard long before he crossed a threshold. Raw Eater said his uncle was a powerful presence despite his small size.